The Royal Commonwealth Society (RCS) announces its Commonwealth Essay Competition each year to inspire thousands of young writers from all over the world. It is the world’s oldest and largest schools’ international writing competition, and aims to celebrate and nurture the creative talents of young people across the Commonwealth, providing a platform for students to compete with their peers in each of the 54 nations which make up this unique association. From 2015, the contest will be known as ‘The Queen’s Commonwealth Essay Competition’, in honour of HM Queen Elizabeth II’s role as both Head of the Commonwealth and Patron of the Royal Commonwealth Society. Are you a writer? Are you interested in the world around you? Do you want your voice to be heard by others? If so, the The Queen’s Commonwealth Essay Competition is definitely for you. The RCS encourages you to be creative in your response to their topics. You can submit a poem, letter, article, story, essay or even a short play. The choice is yours. Just get writing! Open to all Commonwealth citizens aged 18 and under. The Essay Competition offers young people the opportunity to make their voice heard on a global platform and engage with issues important to them. The essay competition gives young people from diverse backgrounds a platform to express their views about the world and their dreams for the future. Participants continue to demonstrate their ability to stimulate and provoke discussions about important issues like (but not limited to) poverty, sustainable development, gender inequality, child labour and universal education. All schools in all the 54 commonwealth countries are eligible. All entrants receive a Certificate of Participation and one Winner and Runner-up from the Senior and Junior categories will win a trip to London for a week-long series of educational and cultural events. Entries should be submitted online for the 2017 competition. However, offline submissions (by post) will be accepted where secure internet connection is an issue. Online submissions are highly encouraged wherever possible. For ONLINE SUBMISSION, fill in the mandatory fields and submit the online Entry Form; For OFFLINE SUBMISSION, complete the Entry Form(pdf) in block capitals and attach it to the front of your essay, before sending entry to your nearest postal hub (in Europe, Africa, Americas/ Carribean, Asia or the Pacific). It is important to read the Terms and Conditions page before submitting your essay (you will not be able to edit it once it's been uploaded), to read the FAQ page, and to visit the official website (link to it is below) for complete information on how to apply and enter for this competition. Participants are encouraged to be creative in their response. Answers can be submitted in number of formats, for example: poem, letter, folk tale, script or essay. Multiple submissions are not allowed and will lead to disqualification. For more information, see the Terms and Conditions. Participants are invited to enter their entries online as from 21 September 2016. The closing date is midnight (GMT) on 1st May 2017. If you are submitting your entry by post, it is recommended that you send it to your nearest postal hub by 1 April 2017 in order to ensure it is safely received. The Royal Commonwealth Society (RCS) is an international education charity, whose aim is to inspire and engage, by promoting understanding of international affairs and the modern Commonwealth. Their projects encourage young people to develop their skills, to realise their ambitions and, with an increased awareness of their role as global citizens, to engage with key challenges facing the international community. Run by the RCS since 1883, this international schools’ writing contest – the world's oldest – is a highly regarded and popular international education project which is run in partnership with Cambridge University Press. 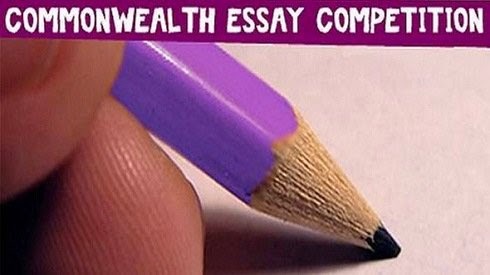 In 2015, the contest was renamed ‘The Queen’s Commonwealth Essay Competition’, in honour of HM Queen Elizabeth II’s role as both Head of the Commonwealth and Patron of the Royal Commonwealth Society. It is a good initiative but While growing up, many of us as children didn't actually know of these opportunities most especially we who grew up in remote areas/setting.I would humbly suggest this program extended to various schools in the 54 nations and that will help give a chance to those who never get some of these opportunities and yet they are better writers and they have a dream of being the best.The earlier the better.Thanks for the information.I have to share it as well coz i am above 18.